PADI Freediver Instructor™, Aurovici Sercomanens, has had a fascinating journey from completing his first freediving course in 2017 to opening the first PADI Freediver™ Center, Epic Freediving, in India in 2018. We asked Aurovici about his passionate journey from his first freediving experience, to opening his own PADI Freediver Center and what we can expect from him in the future. 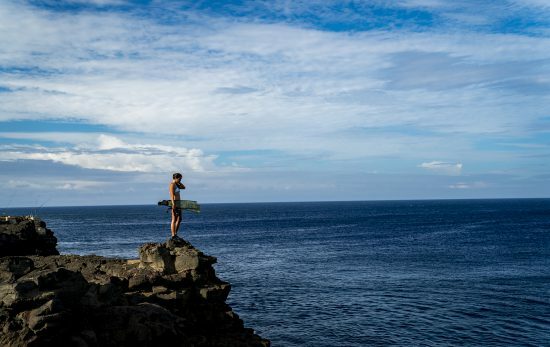 What made you want to start freediving? Like many, I was greatly touched after watching Luc Besson’s film, Grand Blue. The film was spectacular and actually introduced me into the world of freediving. 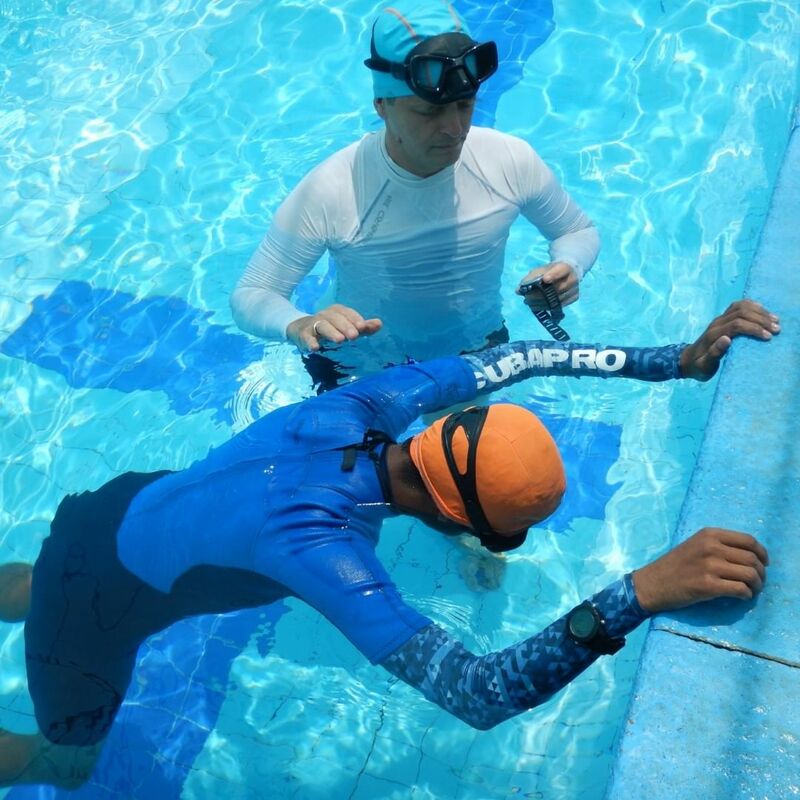 Over the next few years, I started seeing freediving courses offered in India but at the time I was scared that I had to be an elite athlete with a special gift, so I was hesitant to sign up. Then in 2012, I decided that I wanted to give the course a go and learn the sport of freediving. I quickly learnt that I didn’t need to have a special gift and instead, I just needed to be patient and passionate. Unfortunately, there was nothing offered in India at that time and with travelling not being an option for me, I had to wait. In 2017 I was finally able to complete my first freediving course which was held in India. This is where I truly fell in love with the sport. How did you start training to become a PADI Freediver Instructor? I travelled to Bali to train at a large freediving camp, an event where freedivers from around the world spend seven days freediving and training, and this is where I met Sergey. Sergey was a PADI Freediver Instructor Trainer and the PADI Freediver Center owner of Crystal Freediving in Koh Tao. 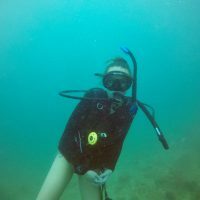 It was here that I decided to also become a PADI Freediver Instructor Trainer and open my own school for freediving in Auroville, India – my home town. 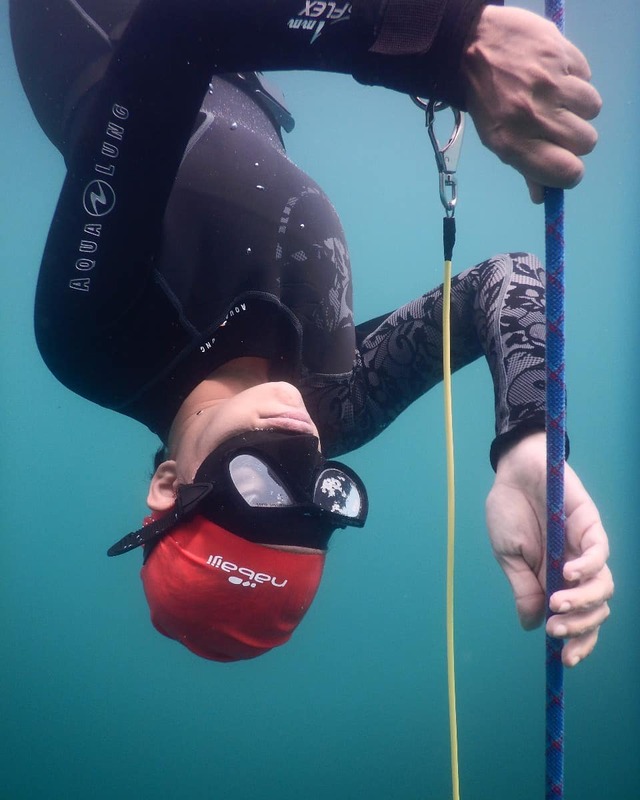 In April 2018, I headed off to Koh Tao to Sergey’s PADI Freediver Center to undertake my PADI Master Freediver and PADI Freediving Instructor Training courses. It took a few months to train and develop my static, dynamic and depth skills, but I enjoyed every minute of it. Why did you decide to open the first PADI Freediver Center in Auroville, India? After finishing my instructor course I returned to India to the city of Auroville, to open my own PADI Freediver Center, Epic Freediving. Auroville was founded by Mira Alfassa (known as ‘the Mother’) in 1968 on the principle of being a universal town where men and women of all countries are able to live in peace and progressive harmony above all creeds, all politics and all nationalities. The purpose being to realize humanity. Auroville currently has a population of around 2,800 people from around the world. In 1966 UNESCO passed a unanimous resolution commending it as a project of importance to the future of humanity. I knew that I wanted to develop freediving in India and work with PADI, so it made sense to take the next step and register Epic Freediving as the first PADI Freediver Center in India. India is very big and surely has many great places to freedive. Therefore, I consider myself fortunate to have access to fresh water bodies deeper than 30 meters. Although Auroville is my home town, there are simply no words that can describe it. 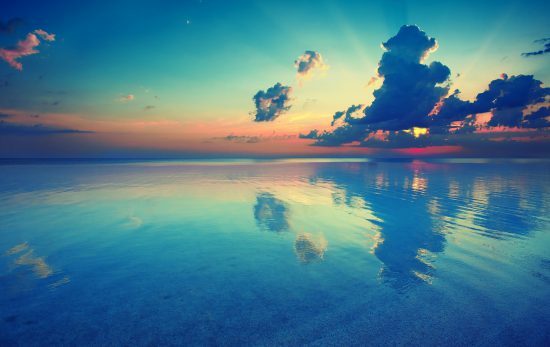 Only by visiting will you be able to see and experience its beauty. Well, freediving is still unknown in India so there is a lot more work that needs to be done. I would like to help develop the freediving culture and make the sport more known amongst the local community. 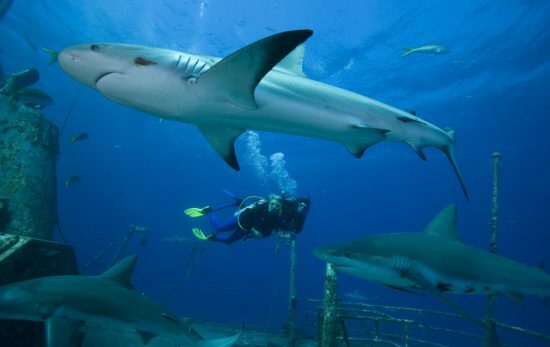 Also, India doesn’t have any Freediving Instructor Trainers, so I plan on fixing this by becoming a PADI Instructor Trainer in two years’ time – if all goes according to plan! 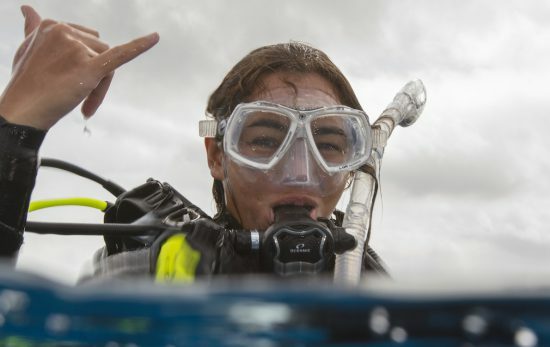 To me, My PADI means excellence, discovery, education and conservation. 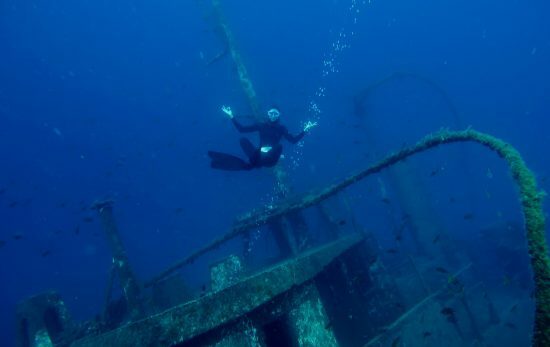 Want to become a PADI Freediver like Aurovici? Learn more about the PADI Freediver course or find your local PADI Freediver Center and start exploring the fascinating world of freediving.